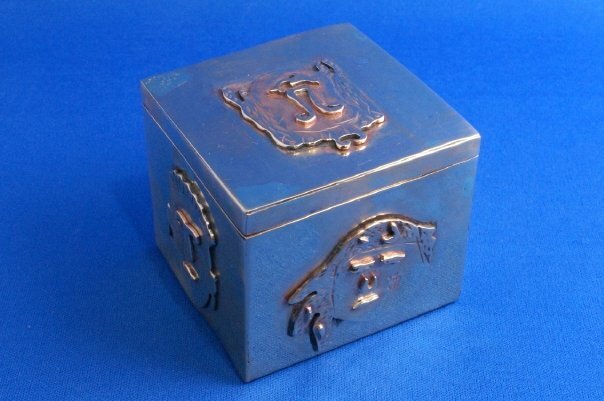 I did a jewellery course and one of the things I made was the box above. I wanted to make a box with some detail on it. Before that I had done projects based on aborignal art and also maori culture so I think the idea for mask came from that. The faces on the four sides are based on the four elements- earth, wind, water and fire. The mask on top is a mixture of the four. 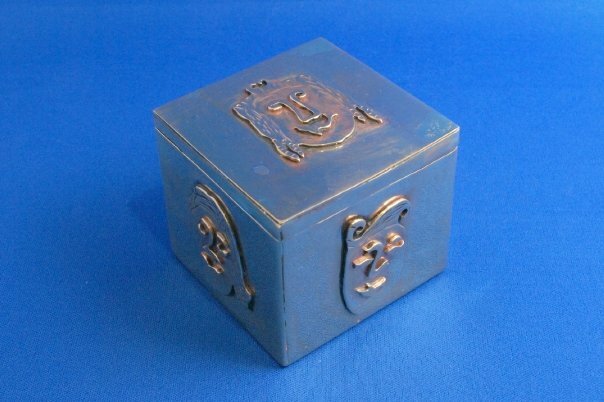 The box is made of copper which was then silverplated. That's absolutely gorgeous Mandy; how big is the box? That will definitely be a family heirloom. Beautiful work, Mandy. I love the different faces on all the sides.